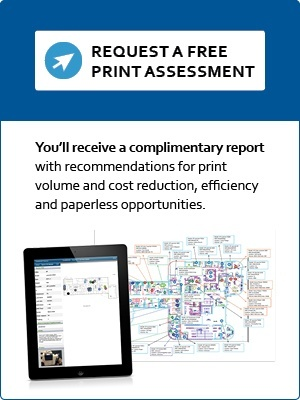 Reliable and cost effective printers, copiers, and document software applications. Don’t just buy any printer or copier, invest in a complete business printing and document management solution to fit your needs. Printing, copying, faxing, scanning and document workflow are a critical part of your daily business operations and you can’t afford downtime or inefficient processes. Gartner estimates that 1-3% of corporate revenues are spent on document output. Through our innovative assessment methodology, Lewan has a proven process for aligning the right technology with your business processes to ensure optimal efficiency, quality and cost savings. An inventory of all current printing and scanning assets. A site map detailing device locations. A total cost of operation report. Reduce print volume and costs. Optimize, consolidate and refresh your current devices. Advance paperless and green initiatives. Streamline document workflows and improve document security. Once we roadmap a plan together, our engineers will deliver, install and network your new printers/copiers or software applications. Followed by training sessions with you and your staff so you understand how to use the new device or application effectively and efficiently. We have full time printer support helpdesk staff to provide phone help for hardware and connectivity/network related issues. This team of professionals can often remotely perform real time diagnostics and troubleshooting, eliminating the need for an on site service technician. When it's time to order toner, you have access to a personalized customer portal for one stop shopping. Or enroll in our auto toner delivery program and we’ll proactively ship you toner before end users are affected. Our program monitors and ships replacement toner right to your device when it runs low.